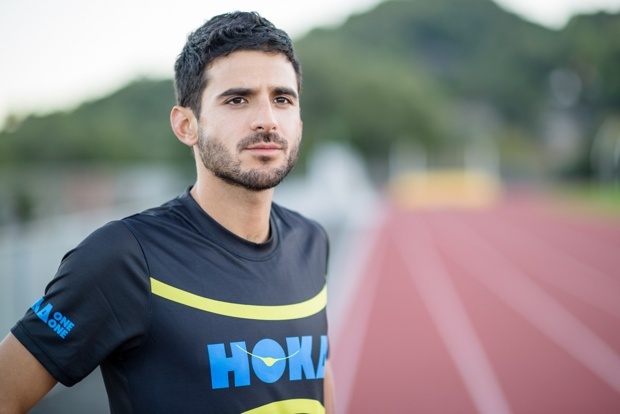 There are few who have the type of range David Torrence possesses in the 800 to the 5,000m. With 1:45 speed and 13:16 strength, the 30-year-old has found plenty of success in his seven years as a professional, including an American record in the indoor 1k and five U.S. titles. Even so, there remains a glaring hole on Torrence’s résumé: he has yet to make an Olympic or World Championship team. It’s a reality that is shared by many given the brutal top-3 selection structure, but for someone like Torrence who has come close on multiple occasions, it’s undoubtedly frustrating. Now entering 2016, Torrence is entirely focused on finally breaking through at this summer’s Olympic Trials, whether it be in the 1500 or 5k. After a period of coaching change in the last few years that ultimately saw him return to the famed John Cook, and also signing on with Hoka One One as his sponsor late in 2014, Torrence believes he’s in position to do just that. First, though, is plenty of months of build-up training leading to the Trials in July. With 2016 still being in its infancy, we caught up with Torrence to talk about his roadmap for this season, and the new regimen that he hopes can improve his late-race speed. As is customary (if not clichéd) for this time of year, I start by asking DT the usual round of New Year’s questions. It’s early January so the inevitable New Year’s Resolution is a hot topic right now. Do you have any running-related bad habit that you’re trying to kick for 2016, or something else you want to change? You know actually there’s one that I do want to use more is stretching after like a hard workout, after a run. I found that I feel better after a good, long stretch at the end of the day. I want to try and get in some more classic static stretching, bring that back a bit. So you’ve gone away from that? Yeah I have gone away from that, and I want to kind of bring it back in. It’s light, it’s easy, it’s not too taxing on the body. Do you have a non-running-related resolution? I have a couple things. One is just procrastination, man. Like still to this day it’s always a killer. It always sneaks up on you. I tend to procrastinate a little too much. That’s just kind of for general. Oh, I know one. I want to get rid of coffee as my go-to wake-up beverage. I wouldn’t say I’m addicted to coffee, but I definitely use it like every day. So I’m trying to back away and maybe only have coffee before hard workouts or as an occasional treat throughout the week. So you drink it too much? I don’t drink it like some people do, but I’m heading in that direction. Before I get that bad, I want to kick the habit a little bit. 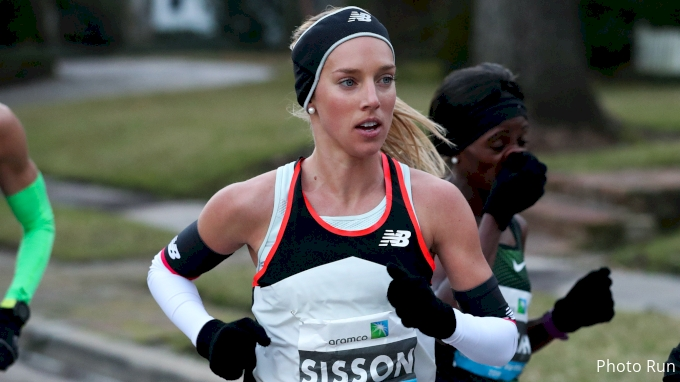 What would you say is the best thing about being a professional runner? Oh my gosh, everything. What’s not to love? You get to travel the world, workout all the time, my office is the trails, the track, and the roads. Push yourself to the limit fairly often. It’s just great to really be in tune with your body, and that’s something I’m realizing a lot of the public, they don’t really have that connection, that mind-body connection. What’s the worst thing about being a professional runner? Oh my gosh, everything [laughs]. It’s so hard. Constantly, constantly on the move, I am always living out of a bag basically. Between training camps, races, altitude camps I’m just gone all the time. It’s hard to just feel at home, ya know? When it’s cold and rainy and you’re tired and you’re putting in 80-90 miles for the week, getting out the door and doing a hard workout can be motivationally really, really taxing, especially when you’re training solo like myself. There are days when I’m like, ‘oh god, why am I doing this? This is terrible.’ But at the end of the day, I do know why I’m doing it. I want to make the team, I want to inspire people. Just be the best I can be, and that all makes it worth it. How was Year 1 with Hoka? It went really well. I responded really well to the shoes. It’s kind of opened up more urban running for me. In the past, I would really avoid running on the streets, on the concrete. I mean, I still do, but in the past I would really really avoid it. Now that I have the Hoka shoes man, with a lot of the cushion, a lot of the technology behind the shoes, I can run on the asphalt, on the concrete, no problem. They’re (Hoka) also super supportive. I’ve done really cool events, like the Hoka Long Island mile (which he won in 3:53) was awesome. They sponsored the Occidental meet (Hoka One One Middle Distance Classic in May), they’re just a really positive group of people. It’s good to have that in your corner. You tweeted about the Tracer, what makes that shoe specifically so good? Oh man, it’s just like a great shoe that’s right in between a pure racing flat and a trainer. It’s super lightweight and has a good feel on the roads. For me, I like to avoid wearing spikes, I like to avoid wearing racing flats, so having a shoe that’s really light like that but you can really get some speed under it, it fits in perfectly with my training. How detailed-oriented are you with your training this time of year? We have everything written down. I’m doing a lot of double days right now, so I have a hard workout in the PM, easy run in the morning, vice versa. Because it’s just January, it’s early, I can switch those around a lot. I can switch the time and the order of the doubles and the workouts, just as long as I get the weekly totals in. But as time goes on, when things are getting closer to races, I try to workout at a similar time to when I’d be racing. It prepares the body a little bit for that kind of effort later on. Are you running an indoor season? I’m probably going to do a couple races indoors. I’m thinking about trying to run in the New Balance meet in Boston and the Millrose Games. Think I might open up there. It hasn’t been confirmed yet, because (Coach John) Cook and I are still figuring out where I’m at with my fitness, but that’s where I’d like to start. Any plans for USA Indoor or Worlds (in Portland) if you would qualify? Probably not. I think I’m going to skip out on that just because I really feel I want to put all my eggs in one basket with the Olympics. All that high intensity racing, I’m not so sure I want to get into that in February and March. I’m probably going to skip it, but who knows. If I’m running incredible my first couple races I might change my mind. Going forward in outdoor, is the 5k now your permanent gig? I wouldn’t say so. I’m definitely training for the 5k now, so I’m kind of upping the volume a bit. But I always tell people that Cook’s 5k training is like a lot of other coaches’ 15 training. My 15 is still really strong, my speed is still there and I think I’ll still do 800s too. But the focus is definitely 5k/1500, and depending on how well I run in those events will dictate what I’ll go for at the Games (Olympic Trials). 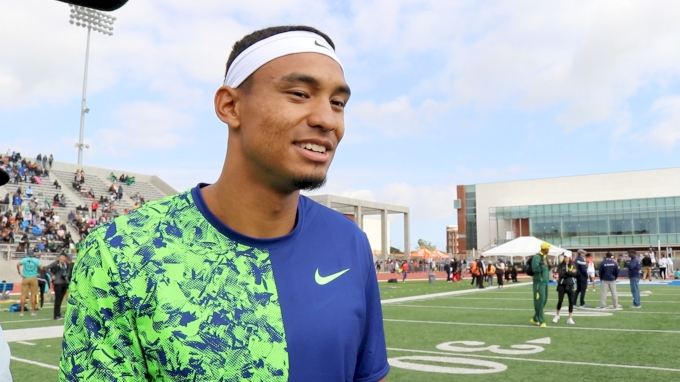 I re-watched an interview from when you finished 5th in the 5k at USAs this past summer. You said that your final 100m is “the one part of my game I feel like I really lack.” What are you doing to improve that? I actually have a pretty decent 100, pretty decent 200. I have speed and I have strength, but for a reason I couldn’t really combine that into races. One thing that I’ve done to change that is I’ve been incorporating a more intense lifting program. I’ve already felt a huge difference with the way my body feels. It’s something I got from Dan Pfaff down in Phoenix, at Altis. Just really creating this hard, strong stimulus of lifting heavy has really jump-started me neuromuscularly and I’m looking forward to see how that plays out in races. I think that’s going to be a big key for me, is maintaining this lifting program. It should help get the right results. Does it get you super-motivated knowing that you were so close last year? Knowing that it might come down to the last 100 meters again? On the day, it is kind of like luck, too. You know what I mean? You have to be fit on the right time, on the right day, all that stuff. Obviously a lot of it is preparation. I’ve been 4th and 5th and 6th (at USAs), always been right there with a lap to go or 100m to go. It’s something that sadly has eluded me for awhile, but I never felt like I couldn’t do it. I don’t feel like that’s where I belong. Especially in 2012 and 2011, those were two years where I was like, ’those are my teams to make.’ Since then I’ve been through some coaching changes— Cook retired, (I) went to Jama (Aden, who coaches Genzebe Dibaba among others), left Jama, was coaching myself for awhile and now I’m back with Cook. It’s been kind of a helter skelter last couple of years but I feel like I really have a solid base under me now, a really great support system. 2015 was an interesting year for track and field with the doping scandals, and I’ve seen you be vocal on Twitter about it. 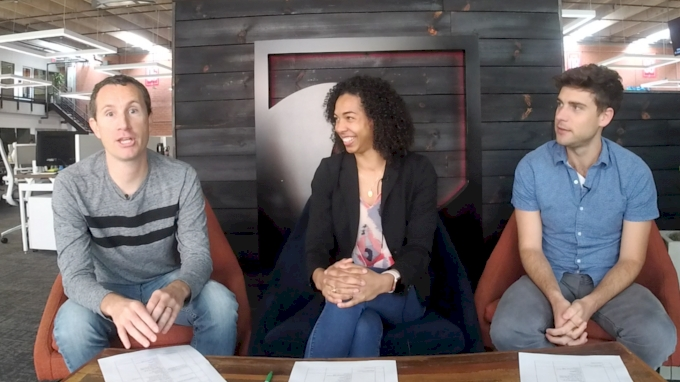 Is your outlook going forward positive or negative for the sport? It’s definitely positive. Things are improving. Hopefully it changes for the better, it’s a very critical time right now obviously with how the sport proceeds. I just think if we can get more drug testing centers out in more remote parts of the world, I think we’re going to start seeing a fairer playing field. I look at guys like Nick Willis, look at guys like Leo Manzano, who have gotten medals at the Games amidst a lot of drug stuff and banned athletes. I think there’s still hope even in a bit of an un-level playing field. You have to kind of focus on yourself and do the best you can do, but now I’m also positive for the future of the sport and I hope that the right moves are being made. Last question. Is the mohawk ever coming back for David Torrence? You know, who knows! Actually a friend of a friend is a barber and we have some plans in February to meet up before my first opener. I told her, ‘my hair is your canvas, go to work.’ We’ll see what she does. Never say never.